Discussion in 'Vapor Related Equipment' started by DDave, Aug 7, 2015. A few have noticed that I recently received Accessory Maker status here at FC. 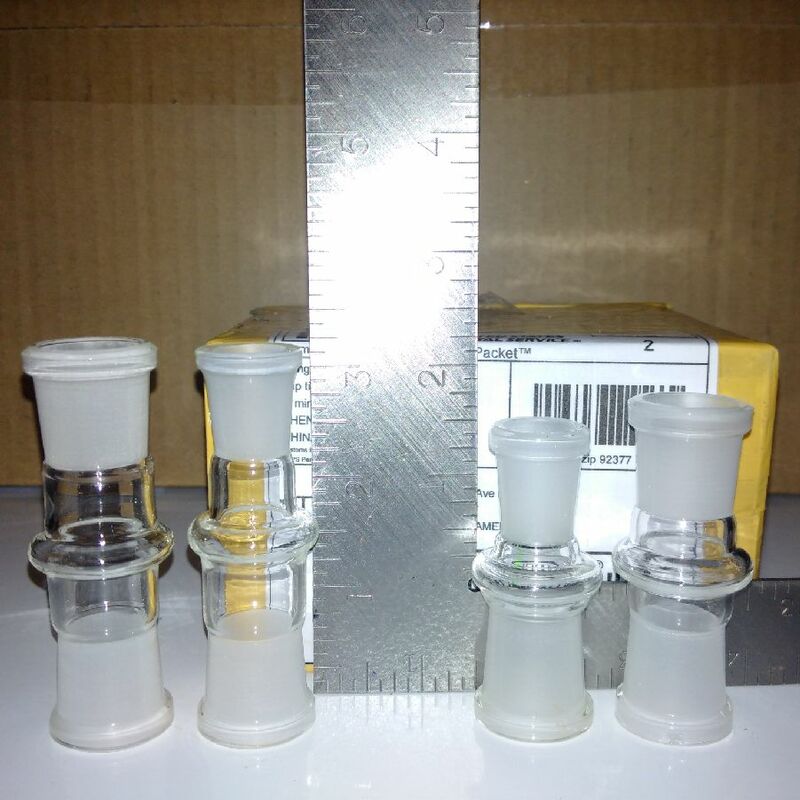 Have watched many try to obtain pieces of the DDave mod or other accessories for their Arizer Desktop Vapes. Have also seen some receive incorrect parts. Frustrating? So, I decided to put together a kit of all the most common parts and offer them on eBay. Will list 10 kits at a time and when those are gone, will list 10 more as soon as possible. Opening this thread, so as not to clog the Arizer EQ or VTower Thread and to allow a place to discuss the DDave Mods.... and improvements (always open to kit changes or mods to the mod). What is the DDave Mod? A 18mm-18mm F/F adapter that replaces the stock Cyclone Bowl. Complete with its own 18mm wand. Brings your herbs closer to the heater of the Arizer tower vapes and has a more open air path than the original adapter. Note, the DDave Adapter included in this kit is not the original DDave Adapter, it's shorter yet, bringing your herbs even closer to the heating element. Note: The pieces of the mod are custom. They do not work with wands or elbow screens from the DDave Mod V1. What is the DDave Mini Mod? A 14mm-18mm F/F adapter that replaces the stock Cyclone Bowl. Complete with its own 14mm wand. With this configuration, the Arizer towers can efficiently extract from much smaller quantities of herbs... Single hit extractions are very possible. Note: The pieces of the mod are custom. Since there was no DDave Mini Mod V1, no changes to note. What's different in the latest Mod revision? The latest revision of the mod changes the wand and method of extraction. The wands included in the kit do not accommodate the center screen. This was defeating the purpose of bringing the herbs as close to the heater as possible. Now, there are two methods of use. Power Mode and Standard. In power mode, the wand is packed in the same fashion as the famous "elbow pack". In standard mode, load your herbs into the F/F adapter, then insert the wand. So what's in the DDave Mod Kit? The Original DDave Adapter - 18mm to 18mm F/F that holds a screen + 2 ss screens. The DDave Mini Adapter - 14mm to 18mm F/F adapter that holds a screen + 2 ss screens. Two additional Tall DDave Adapters - both 18mm & 14mm. (Tall, comparable to OEM Cyclone Bowl, for lighter sessions). So that's 2 DDave Short adapters, 2 DDave Tall adapters, 2 wands, 12 stainless steel screens, test tube clamp, wooden holder (limited time), and 2 silicone whip tubes! And where can I find this kit? The kit will be listed on eBay. Latest link will appear in my signature. Will make best effort to watch for postings to this thread and answer all questions/concerns in a timely manner. Feel free to post here regarding the mods. Also, my PM is always open. See eBay link for latest pictures of the kit. 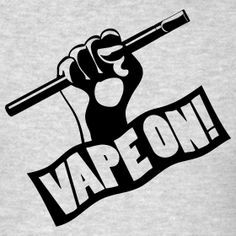 Welcome to the thread...and Vape On! Laantje, BD9, Andcas6 and 23 others like this. This is terrific news for those new to the EQ and this ever popular mod. I like that you have 2 separate setups (18mm & 14mm) which allows for more versatility. Even comes with tubing and a test tube clamp. Good price for the glass pieces alone. But also a great time saver being able to buy everything in one kit. @DDave, Thanks for the consideration of keeping this a separate post from the EQ forum. Although, I plan on referring to this forum often enough to keep you busy. Since you may be considering making more types of kits and open to ideas. Thought I'd mention that I have been happy with this particular 18mm F/F because there is no center ring that bulges out. It is still a small piece with a lot of inside volume. I'm also able to fit a 1 inch screen worked into a dome shape as a crumb catcher. Downside, It may be harder to find any out there that resembles this. DDave and HellsWindStaff like this. @CuckFumbustion Thanks! Wanted to put together a kit for a long time. Had the 18mm adapters made so they are shorter yet than the original F/F adapter that earned the mod name. After that, it was creating a setup that could vape very small amounts of herb efficiently. That's where the 14mm option came in. That adapter is custom as well to be as short as possible. In addition to the two DDave Adapters, those that get your herb as close to the heater as possible, I decided to include two tall adapters, one 18mm and the other 14mm. I've heard many an EQ owner state they liked the cyclone bowl, but hated either the loose screen or the center hole of the adapter that restricted airflow. These two adapters are the same height as a stock cyclone, but with a screen that sits stationary and no airflow restriction. Using these adapters, one can watch their herbs dance around in the adapter during a draw. Since the screen doesn't move, nothing falls through to the heater of any significance. The wands are clear borosilicate glass and the screens are custom as well. They are more robust than the standard Arizer elbow screens and they fit the wand without falling out. The 18mm is also sized differently, as I found a combination that more-evenly extracted and better held onto the herbs when used in the "elbow pack" method. During experimentation, the 14mm setup was quite fun in using whole, but tiny, nugs. Larger nugs could be broken into pieces, but not ground, for quite flavorful extractions. The adapter you have depicted has peaked my curiosity and I'd like to see yours with a screen installed. I'd like to think of the DDave Mod Kit as a work in progress... and looking forward to add/remove/change items within as improvements are discovered. Nugg, CuckFumbustion, AnthoFranco and 1 other person like this. This kit has everything and is very thought through. If anyone is contemplating mods for the EQ, you will be more than satisfied with what's on offer here! Sorry to hear about the broken adapter! I did discuss the kit with Kevin from Arizer. They weren't interested in pursuing any accessory kits themselves, but did bless the idea/endeavor. Props to Arizer for that! Am offering an introductory special pricing to FC members. eBay didn't have a discount/coupon code option available to me, but I found a workaround! It's called Make an Offer. So my offer is FC price of $55 & Free shipping. A bit over 15% off listing price. (Listed at $65 & Free shipping). So, if interested, feel free to visit the link below and use the Make an Offer function. Enter a price of $55 and proceed to the checkout. This will be good for the first 10 kits sold or till the listing expires. Note: Most photographs on the listing show 2 DDave Adapters (Short). The kit actually includes 4 x F/F adapters... these can be seen in the last photograph of the listing, next to a ruler so you can see their respective sizes. International Orders will be accepted soon! (Still working out logistics). If anyone's interested, PM me and we can discuss. Quetzalcoatl, Nugg, CuckFumbustion and 2 others like this. Perhaps we could organise a special MoltenPackage, possibly with only 18mm adapters? Nugg, CuckFumbustion and DDave like this. That kief story with shattered herb in a bowel of bud... Sad Sad Story!!!! Am investigating international shipping to Australia for another who inquired. Please PM you location a bit more specifically so I can check out some shipping options. CuckFumbustion, MoltenTiger and Snappo like this. @DDave . I have the actual adapter pictured above. The space between the plugs was what caught my eye. Also that the center area is flush with the smaller diameter of the plug ends. The inside is smooth and has no ridges. So there is nothing for a screen to seat on. My workaround, Essentially its the screen trick with this adapter. Only I use tweezers and the EQ wand to form the dome with a 1 inch screen. Then I place a smaller flat screen inside the dome. The smaller edge of the flat screen tends pushes outward on the ridge of the larger dome. I prefer to have it dome side up when it is in the adapter. The downstem/fake wand that seems to fit my !8mm F/F better, also sits a few mm deeper than the standard EQ elbow. Just a consideration when picking out adapters. There may be even be two interpretations of what is considered an '18mm' standard. Look's great DDave , just what we all needed. Wish these were out a few years ago. I am def going to let my buddies know though and if i can get some money together grab a set for my self. CuckFumbustion and DDave like this. (Wish I could have released the kit sooner as well! Some pieces made from scratch, by design specs, drawings, or models, and that wasn't without various misunderstandings leading to incorrect items initially. Spend many a night like this while trying to describe what I wanted made). 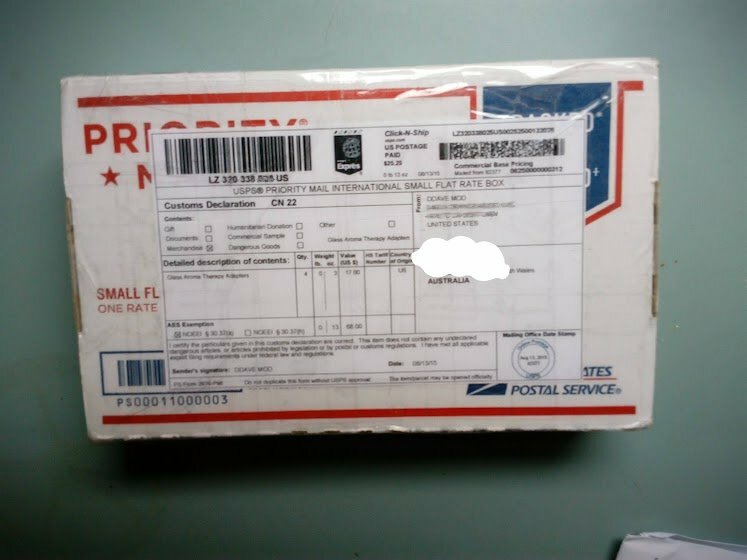 Please tell your friends to leave "Referred by Justpassedu at FC" in comments of their eBay orders... Thinking of starting a referral program as well and want to start collecting "credit" for any referrers/referrals. Nugg, CuckFumbustion, Justpassedu and 1 other person like this. The International inquiries and requests have been flooding in! See below for the "arrangement" I added to the eBay listing. International shipping is costly. I'll split the cost with you. Please use the Make an Offer button and enter amount of $70. In your order comments, please include your entire shipping address. I will then verify the destination with USPS. (This offer is good for any location in which USPS will ship a flat rate box for $25USD.) Offer good till canceled. There were concerns brought to my attention. Most revolved around damage during shipping. Though I've not shipped entire kits internationally (till now, 4 just went out! 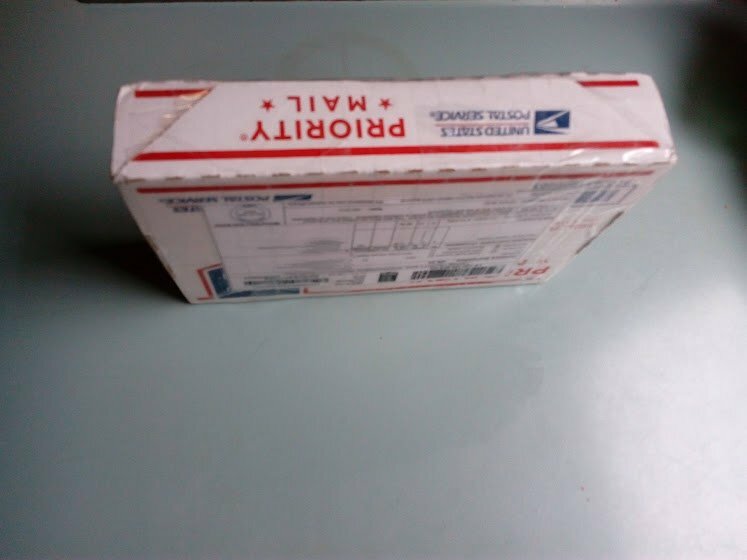 ), while I was having pieces manufactured I did ship glass internationally via same flat rate boxes and postage. Nothing was damaged in multiple back and forth shipments. Not saying accidents don't happen. They do. 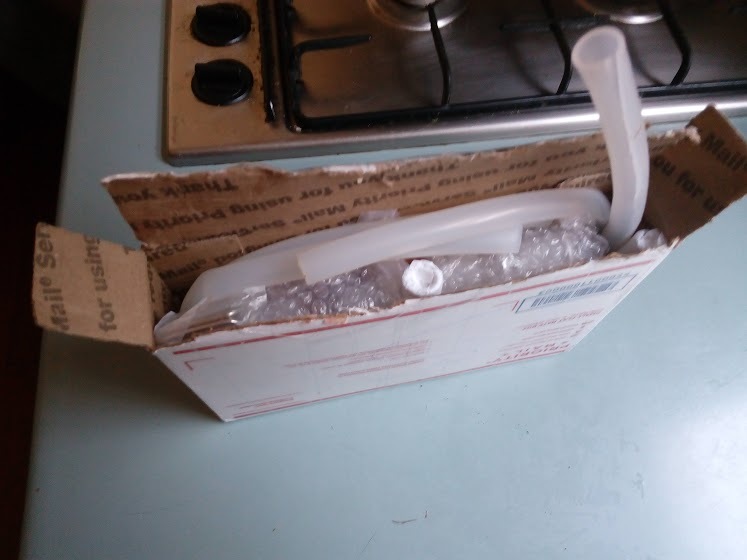 To avoid damage, Kits are packed with Glass adapters bubble wrapped and wands wrapped in paper. The kit is packed tightly and nothing moves around. 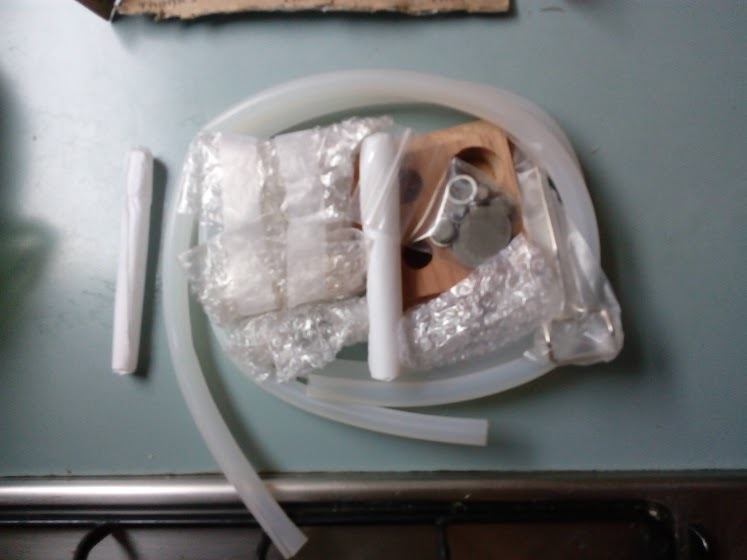 It is my goal to get kits shipped as economically and safely to the recipient as possible. Nugg, Quetzalcoatl, CuckFumbustion and 2 others like this. This just in. First listing sold out. New listing... http://www.ebay.com/itm/-/121738123332? The FC special is still ON! $10 Off on the next 10 kits! Quetzalcoatl, Nugg, Justpassedu and 2 others like this. Not saying accidents don't happen. They do. To avoid damage, Kits are packed with Glass adapters bubble wrapped and wands wrapped in paper. The kit is packed tightly and nothing moves around. @DDave that would be an understatement! I just got mine in record time and it was packed unbelievably well. Nobody should be concerned and its nice to UNWRAP ALL THE THINGS!!! Great kit, good components and works better than the other pieces I had cobbled together for 3x the cost after you figure in trial and error, shipping and other headaches. Everything worked no issues right out of the box and its a very complete setup....the tongs were flippin AWESOME. I'll be using those for a couple of different vapes they are so handy. My only (very) minor gripe is on the free wood block...I had to re-bore the bottom of two holes to get everything sitting flat...but that's also my OCD kicking in there. Maybe include a slot for the tongs as well? Thanks for the awesome deal and bringing this to the FC community! DDave, CuckFumbustion and Justpassedu like this. Thanks for the review and glad you like the kit! Regarding the packing, I'd love to take all the credit... However, the QC (quality control) officer Mrs. DDave ensures all kit items are properly secured prior to releasing to the shipping department (basically, me making a USPS run). I appreciate the feedback on the wooden stand. I will check that leveling bubble on top of the drill to make sure it's displaying flat level properly! A slot for the tongs is a good idea. I need to think on how to best implement. In the meantime, you may want to store it as I have. I clip it to an adapter then swing the handle of the clamp to the inside so it's sitting between either two adapters or an adapter and a wand. Hope you enjoy the kit! VegNVape, Quetzalcoatl, CuckFumbustion and 1 other person like this. Just my thoughts. I do like that it is an unfinished block of wood. I'd just use mineral oil on mine (or something food safe) after I sanded it and added a few personable touches. Maybe even have a little fun with a Dremil. Yea, keeping that wood base mod-ifiable will allow for some creativity with the users. Maybe hold a wood stand contest in the future? @DDave , Not sure if you had a purpose for the small center hole of the wooden stand or if that was a necessary step/thing to form the blocks. But If you can bore a center ring around that hole, It might be just enough to rest the tongs in the middle of the block and would perhaps require no extra retooling on your part. Might even be that much easier for the user to transfer the bowl from the block to the EQ. Glad too see you sold 10 so quickly and one very positive feedback out of that. Added your new listing to my Ebay wish list. Will rec'd. Quetzalcoatl and DDave like this. New member here and I ordered an Arizer Extreme Q just yesterday so I decided to complete the package by purchasing your mod kit! Too bad I didn't read this thread first, I could have saved ten bucks lol. VegNVape, Quetzalcoatl, Nugg and 2 others like this. Thanks for the Ideas @CuckFumbustion ! For the boring of a center ring around the hole in the middle of the wood block, would this allow the clamp to stand upright on it's handle, (like the wands do) or to lay sideways with the clamp arm kind of hanging off one side of the block? (Trying to picture this). The wood base will definitely remain "untreated". I would rather the recipient tailor to their liking and use products they personally found safe, since they may place hot glass adapters or wands in the stand. In this way, they could feel safe in knowing exactly what was touching their adapters and not worry about any residue or off-gassing of a product which I would choose. @forkup, Welcome to the Arizer family and to FC! You've definitely reached the right place for information on vaporizers and a plethora of info on the EQ! I sent you a note on eBay regarding the sale price and some options (donate the $10 to another purchaser who can't afford a kit or I can paypal the $10 back to you... your choice). Your kit will be brought to USPS today. Hope its arrival coincides with the arrival of your Arizer EQ! VegNVape, Nugg, Quetzalcoatl and 2 others like this. Thanks DDave! I'm sure I'll receive the kit by the time I figure out how to use the EQ. As one who loves gadgets and tinkering I'll be having a lot of fun here soon! If you run into issues or have questions, don't hesitate to ask. Most common issue by those new to using an EQ is not allowing the unit to heat up before trying to use it. Allow the glass to heat for 15 mins minimum. And lastly, thanks for the opportunity to help another! I will double-match your contribution for a total of $30 off a kit for someone in need. BD9, TomC1315, VegNVape and 4 others like this. Yea I thought the wood base seemed to be a representation of the whole impetus behind the project. To perpetuate even more great ideas. Then I imagined other users showing off their finished art pieces. Some users simply using their favorite stain or decorative touches, others more functional or elaborate setups. Because that is what EQ FCers end up doing with their vape. Upgrade, Mod, share their ideas. How cool is that? As to where to place the test tube clamp, I was thinking a simple circle that was bored with leaving your center hole intact (or perhaps not?). I suppose you could put your EQ stir tool in that center hole. for even less fumbling. To clarify even further, The business end of the clamp would rest in the circle part. The bore being just recessed deep enough to prevent the clamp from slipping when placed back down. Ideally, with the handle facing out, I picture it being easier for the user to switch out the bowls and place the clamp back down while hot. Much like a chemistry set . The circle you make can be about the width of the tongs part, if the tongs were fully closed. If your circle has to be wider for some reason, no biggie. The end user might just squeeze the tube holder before placing it in the circle part. Sounds like more of a klutz friendly idea, now that I think of it. is this the right height? Ensure to ask the vendor for size specs, as some have "borrowed" their pics from others who sell "similar" adapters. CuckFumbustion and sickmanfraud like this. I would also be concerned about the width of the glass. My thing is keeping the center area from being too wide. The EQ draws its air from the top of the unit as well. The height is about right though. I've made this point because I bought 2 F/F 's when I first read about the DDave mod. The first being to wide in the center to fit my EQ because it would have restricted air flow going into the unit. The second being this one which I'm happy with. It looks like you would be spending around $11.00 on a single piece, that is an iffy choice. IMHO. But if it doesn't work out, that F/F could be handy elsewhere. There is several size and shape variations for this mod that you can afford to be choosier. Sometimes I will do an ebay search and imagine the possibilities. I'm also actually using a downstem as a glass wand. Do plan on getting the kit from @DDave myself eventually. Before, I have went out and got most of these items separately over time. But DDave has made a great kit worth checking out. Here is the ebay link. Plus a link to the contest, if you qualify. It is a level one contest. But what he is offering is very reasonable and will save you a lot of time on that point alone. To the person who provided the photos, Thank You! VegNVape, Nugg, sickmanfraud and 4 others like this.